Check out the official trailer for the “My Grom Life” series and subscribe to the MyGromLife YouTube channel! 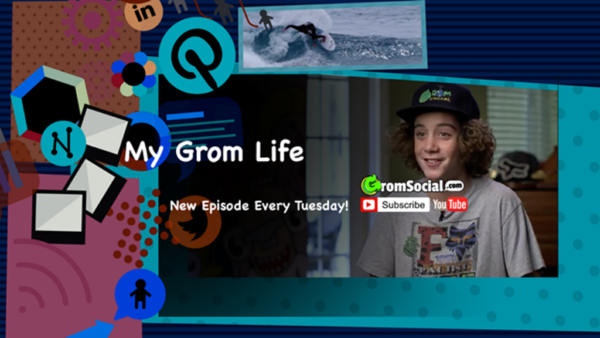 “My Grom Life” is an exciting new web series that follows the antics of 16-year-old Zach Marks, creator of Grom Social, as he navigates the challenges of running a growing business in the midst of balancing a colorful family life, travel, school and friendships. We appreciate your support and are looking forward to your comments! Next PostNext MamaBear Supports Safer Internet Day!